When somebody talks about being released on bail, they are referring to being released from arrest. In exchange for being released, the accused person (or another person on their behalf) must provide security to facilitate their release. This security can be deposited or pledged to ensure that the accused person will appear in court when it is required. 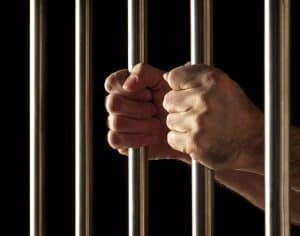 The Bail Act 2013 (NSW) defines bail as the authority to be at liberty for an offence or an alleged offence that the accused has been charged with. The decision to grant bail can come about in two different ways. When the Police initially arrest you, they can release you without bail, grant bail or refuse to grant bail. Under section 44 of the Bail Act 2013 (NSW), the police officer making the decision about granting bail must be classed as a sergeant or above. This decision must be made as soon as possible following the arrest and charge of the accused person. This is known as police bail and will be further elaborated on below. The other way that a grant of bail can come about is through the courts. If the Police refuse to grant bail, then the only other option is to seek court bail. In order for this to happen, you will need to be brought before a Magistrate who will make the ultimate decision as to whether you should receive a grant of bail. What is the process for being released on bail? As mentioned earlier, there are two different processes by which bail can be granted. These are police bail and court bail. If you are arrested, charged and taken into police custody, then the police have the authority to grant you bail. In most cases, the police officer must give you the opportunity to contact a person such as a lawyer in relation to bail. In some cases, you will not have the right to contact someone. For example, if the police have reason to believe that you contacting another person will result in the destruction of evidence or the escape of someone involved in the offence, then they can refuse you the right to contact another person. You should bear in mind that you may still be permitted to contact a lawyer. If the police grant you bail, then they will impose conditions upon your release. These are known as bail conditions and will be further discussed below. Court bail occurs when you file a bail application with a court requesting to be released on bail. It is important to note that you can only make a bail application once, unless you can prove that new circumstances or previously unknown facts come about that support your application. At George Sten & Co Criminal Lawyers, we have vast experience in preparing, filing and presenting bail applications to the courts. Even if you have been arrested out of hours and refused police bail, we can prepare a weekend bail application on your behalf. Call our dedicated 24 hour phone line on 0412 423 569 to find out more. Depending on the severity of the offence committed, it will be classified as either a show cause offence or a non-show cause offence. If the offence is classified as a show cause offence then the presumption is that you should not be granted bail. You will need to be able to provide very good evidence to rebut this presumption. A good example of a show cause offence is any offence, which is punishable by a term of life imprisonment. An exhaustive list of show cause offences can be found in section 16B of the Bail Act 2013 (NSW). On the other hand, a non-show cause offence is an offence where the Court must grant bail unless it can prove that you pose an unacceptable risk to the public. Agreeing not to contact certain people including witnesses. Serious consequences apply if you breach your bail conditions. These will be discussed below. If you breach your bail conditions, you are putting yourself at risk of having your bail revoked. The police have discretion as to how to reprimand you for breaching your bail conditions. They may choose to take no action, or they may go as far as arresting you. Another alternative is issuing a court attendance notice for you to attend court to either admit the breach or undertake a short hearing. If you do not admit that you breached a bail condition, the court will need to prove that, on the balance of probabilities, it is likely that you did breach your bail conditions. If the court finds that it is likely that this breach occurred, they can revoke your bail. In revoking your bail, you will also lose the security that you pledged to ensure your freedom. If you have been arrested, refused bail or have breached your bail conditions, then now is the time to contact the expert legal team at George Sten & Co Criminal Lawyers. We are trusted advisors in our field and can provide you with the legal assistance you require to be released from police custody. Our lawyers continuously undertake professional development and have a thorough understanding of bail in New South Wales. Whether you require our lawyers to provide legal advice about bail, or prepare a bail application on your behalf, they are ready and willing to assist. We know that being arrested or charged with an offence can be stressful and confusing, so our lawyers will work with you to ensure that you understand what is happening at every stage of the legal process. If you require any legal assistance, then call our bail application lawyers on (02) 9261 8640. If you require urgent legal advice or assistance out of ordinary business hours, then contact our dedicated 24 hour contact number: 0412423569.